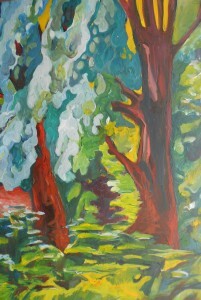 Landscapes, Portraits, etc with a contemporary abstracted point of view. 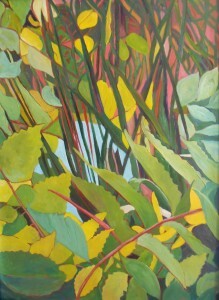 Her work is in public and private collections throughout the United States. University of Minnesota, Duluth, University of Guadalajara, Mexico, and Hartwick College, New York. She received a BFA from Creighton University in Omaha, Nebraska. 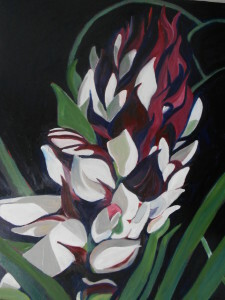 her work in solo and group exhibits throughout the country for 36 years. 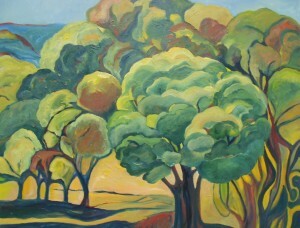 To see more of Linda’s work, visit her website at www.lindawootengreen.com. Las Vegas Arts Council thanks the Historic Plaza Hotel for allowing us the use of the Ballroom Corridor, extending Gallery 140 into the community and sharing the work of our wonderful local artists.